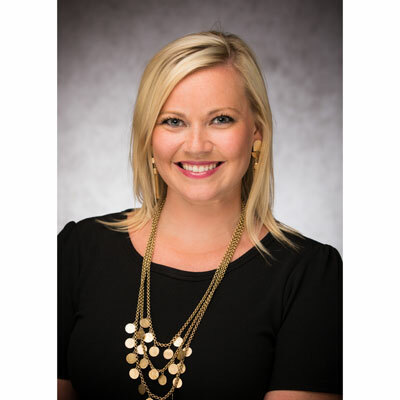 Brittany is now a part of the Windstream National channel team with 9+ years of Channel and telecom experience. After years of working with partners, she employs a unique, out of the box, perspective to develop bold new go-to-market strategies. She started her telecom career with Deltacom which morphed into a partner marketing role at EarthLink Business. Most recently she managed the Partner Marketing program at Time Warner Cable Business Class working with both Master and Sub- Agents. Due to the recent merger, she continues her career as the National Partner Director at Windstream focusing on Master agents, partner growth activities and expanding the channel across the US. Brittany graduated from North Carolina State University (Go Wolfpack!) and is a diehard Carolina Panthers fan. She has made Raleigh's thriving technology hub her home. She considers dogs children and is a big animal welfare advocate. Like many other leaders in the industry, I've really only known being in a merger-state. I've worked for several companies who ultimately get purchased or do the acquiring. While mergers can have pain points, I've learned over the years how to adapt quickly and embrace change. With Windstream, I've been able to positively communicate new developments and show partners how to effectively position themselves in the marketplace. In addition, I've launched the program with large master partners that weren't in our program previously. Going into 2018, I plan to continue growing with current partners and expanding the program to new partners. My responsibilities in this role are specific to the Master agencies throughout the country. Therefore my goals for those larger Master agents is in growth mode- both through sub agent recruitment for those masters along with training them on revenue-generating products. We now have a trifecta of tech products that will be HUGE in 2018- network, UCaaS and SD-WAN. I want to make sure our Masters are equipped with as much knowledge, strategy and focus on Windstream as possible- so we can grow our businesses together. Proudly received my first WoTC 2017 award last year- and I can't tell you enough how much that means to me in my career. I've been climbing the ladder in the tech space- and continue to climb to be a better leader, colleague, employee and mentor. I really admire a mentor and close personal friend of mine, Michelle Kadlacek. A fellow WoTC winner (multiple years running), Michelle has shown me leadership and sales skills, what it takes to earn loyalty within our industry and that hard work really does pay off. She's not afraid to get her hands dirty to get the job done- and I hope to follow in her footsteps throughout my career. Technology, Telecom, Voice Solutions.. may not sound like the most glamorous career when you are first getting into the workplace. But it's one that is so exciting to be a part of when you experience trends that change faster than spring to summer fashion accessories. My start was on the event planning side of the house, and with hard work, focus and flexibility- I've climbed a career ladder faster than I would in other industries. Stick with it- find your niche in the industry and you'll see why people never leave the tech industry. After attending CRN WoTC East in December, I bought the Elizabeth Vargas book, Between Breaths. I loved how honest this story was about Vargas's life. Some things were very relatable in the book but most importantly, she's a survivor. She powered through some really hard situations and continues to better herself. It's a great message for anyone- we've all gone through our own battles- but if you work hard, stay focused, stay positive- you can turn it around.